You are currently browsing the tag archive for the ‘Stellenbosch’ tag. A small team from Ball Project is heading to South Africa today for a week of adventure with Ball Project & The Viewfinder Project partners & friends. We will be meeting with friends & partners in & around Cape Town & Stellenbosch & also in the Northern part of the country near Ficksburg. These trips are great because they allow us to have face to face time with some of our great partners on the ground so that we can actually physically talk, work & play together instead of relying on email & phone calls. Solid relationships & good communication are the keys to effective partnerships. These trips help keep everyone aligned & focused on our mission to help kids play. Ball Project’s role is simply to help provide the balls, equipment & hopefully encouragement to coaches & community leaders so that they can better serve their communities. Prochorus is connected to the Shofar Christian Church and we are the main vehicle through which the church takes care of the poor. For this reason we aim to plant Prochorus branches at all the Shofar church venues. Since the needs in these different communities are very different and projects could take many different forms, we are not bound by any one means in serving. Sport and balls are one of the small ways which we use to connect with community members, form projects and help people in their different needs. 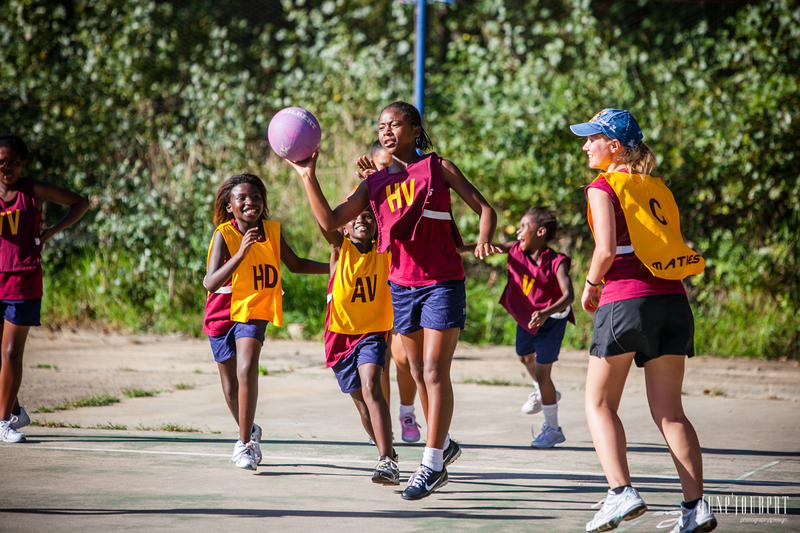 Currently we only have one projects specifically focused on one sport which uses balls and that is our Netball Project in Jonkershoek (Stellenbosch). We used to help a soccer team in Kayamandi (Stellenbosch) with equipment and the idea was to follow through with whole life coaching. We decided to put this project on hold as there are too many other projects in the Stellenbosch area which require our attention and that timing is bad to try and grow this into a proper project. There are also enough organizations in Stellenbosch which focus on soccer and we are trying to link that soccer team which we were supporting up with one of the other groups. Our Netball team is doing very well. They have participated in the Boland Netball League for the last two years which gave them much more depth as a team. With our great coach who used to be a player on the Univerity of Stellensch team and studied coaching, the life coaching of the players along with the sport coaching was a major success. She, along with the players have made much effort into developing the team and the project to make a real and lasting impact into the lives of the team members. We are excited about the possibilities and potential there is for sports in impacting communities and individuals for the community transformation. We pray for provision in capacity to enable us to grow this resourceful vehicle to make more meaningful impact. As always, Ball Project is thrilled to play a small part in the mission of our partners as they help kids play.